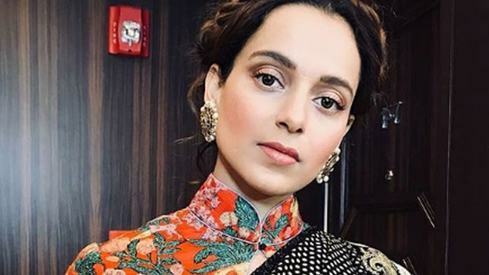 The film Allahyar and the Legend of Markhor boasts a star-studded cast. 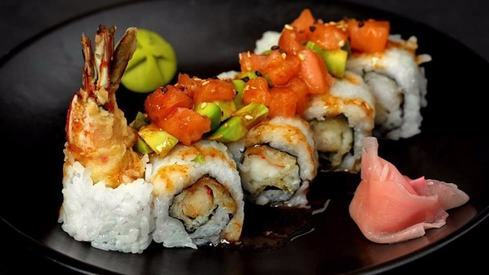 You won’t see them, but you can definitely hear them. 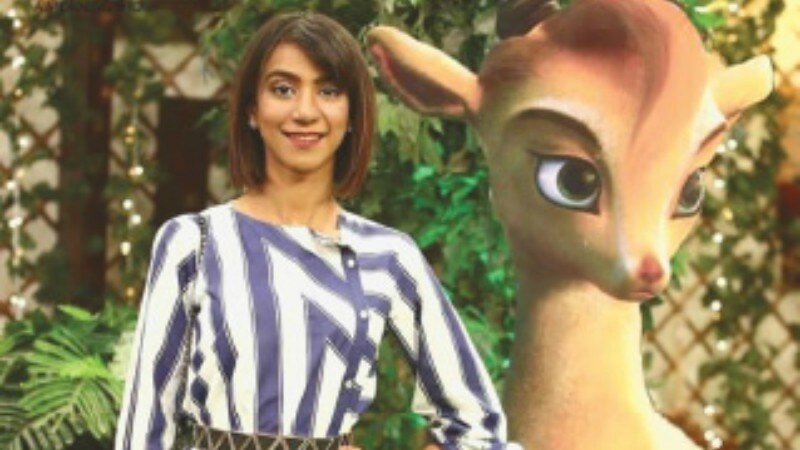 Singer Natasha Humaira Ejaz has lent her voice to the character of Mehru, the adorable little markhor who befriends Allahyar (voiced by Anum Zaidi). 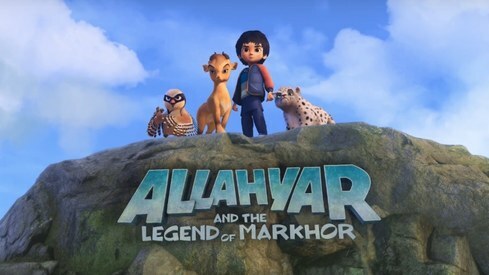 Noori’s Ali Noor plays Mani, the evil hunter out to get Mehru and Chakku, the snow leopard (voiced by Abdul Nabi Jamali). Azfar Jafri is Hero, a loveable but totally tharki chakor. 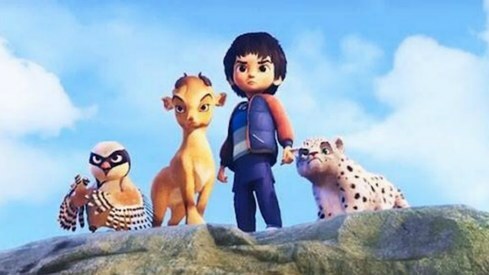 Made in collaboration with WWF Pakistan, the animated movie aims to shed light on issues such as illegal poaching of wildlife, endangered species and conservation. And it does all of that in the most adorable way — through the story of a boy and his tiny animal friends. 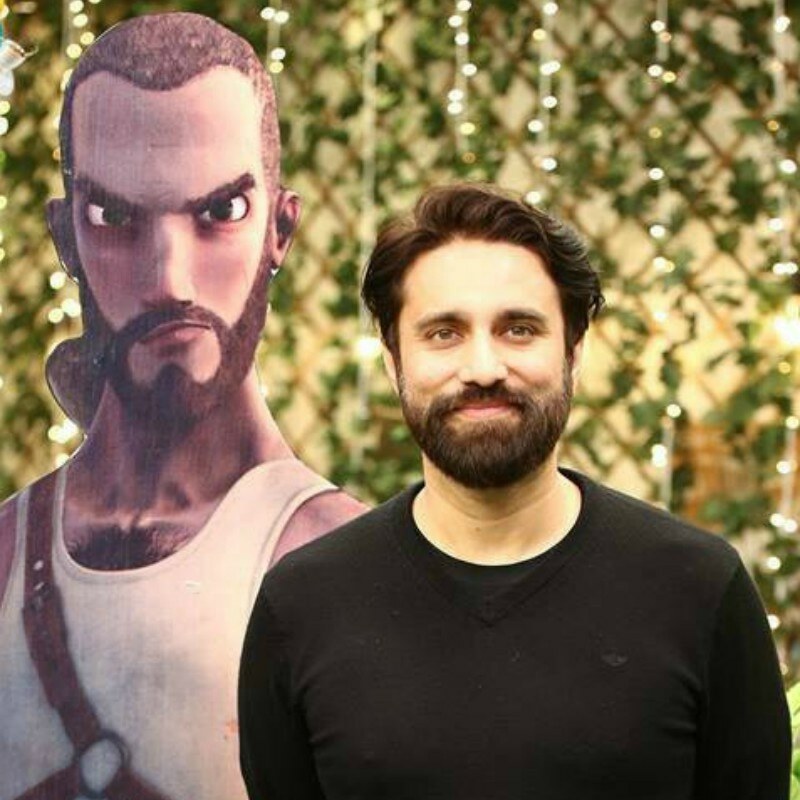 The visuals are quite slick, the animation is better than what we’ve seen before in Pakistan and, Icon has learnt, this is a 100 percent made-in-Pakistan production. 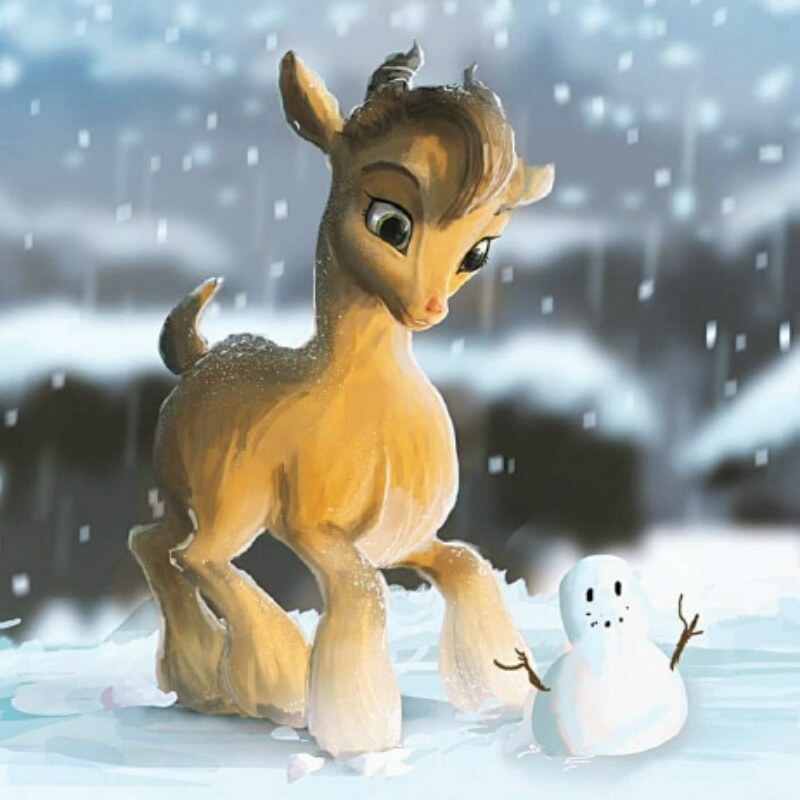 Uzair Zaheer Khan: Animation is a very powerful medium. When we started this, we had several agendas. The selfish ones were: me being a CG [computer graphics] artist … I wanted to do something that has to do with me because I feel I have the capability to create something which will wow the world. Secondly, I’ve seen my colleagues, especially the ones who are older, not find employment after a certain age, because there is no industry. And they are very capable people. Let’s suppose if this film does really well, more people are going to say ‘Okay, it’s working. So, let’s do animated films.’ Industry baney gi [It will establish the industry]. The other part was that there is a lot of patriotism and idealism [in me]. The studio is called 3rd World Studio. I’m owning the fact that they [in the developed world] call us a third-world studio, but this is a slap in their face, because I’ll make a film which will blow their minds — that what they make using millions of dollars, I made with a fraction of that amount. Then there is another company that I’m involved with which has to do with the Urdu curriculum. Meri soch yeh thi keh [My thinking was that] people have lost their values and ethics. They cheat, lie and people accept it. But the next generation can grow up with a set of values and ethics which is important for the community. The field I’m in is the perfect delivery mechanism — via entertainment they’re learning things without realising it. Uzair Zaheer Khan: I have always liked animals. Right now, I have seven dogs, a donkey, a cat, two fish, and a turtle. My kids love animals. There was a point when I had seven snakes. I have a soft spot for animals but that doesn’t mean that’s all I’m going to do [conservation films]. Even to this day, people ask us what is a markhor? It’s sad when educated people don’t know what Pakistan’s national animal is. It’s very strange. I thought it’s very important for kids to know. Allahyar also features our national bird — which they keep calling an ‘owl’ — called a chakor. We didn’t show all of the animals [found in Pakistan] in the trailer, because we wanted it to be a surprise. People have this perception that animated films are meant for children. Whereas those working on the films try to cater to the adults who accompany children to watch those films as well — to make it more ‘universal’. How have you managed to do that? Uzair Zaheer Khan: Kids are really smart nowadays. If you’re going to dumb down content for kids, even some of the older kids aren’t going to find it very attractive. 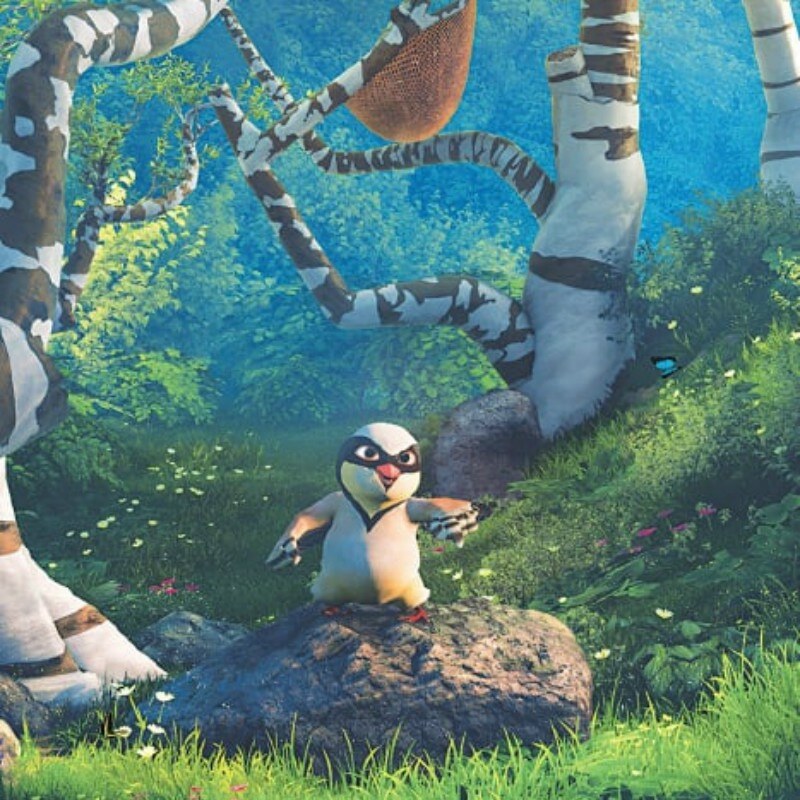 Internationally most [animated] films are made for not just kids but adults as well. It’s such a huge industry. I watch films with my kids, that’s one of the things I really enjoy doing. If you make a film mature enough to attract a young adult, that’s a better film because you can broaden your market as well. Many people say, ‘this is just a film for children.’ I have to correct them and tell them, it’s not. When you’ve been working on something for so long, your objectivity is affected a little as well. You also get unnecessarily worried about little things. Whenever I am away from the studio I wake up in the morning thinking, ‘I wonder if my film is really that good? Will people like it?’ I go to the studio and I play the film and then I’m like, ‘I think that it’s awesome.’ I get away from the studio and that cycle [of self-doubt] starts all over again. How did you decide on the cast of the film? 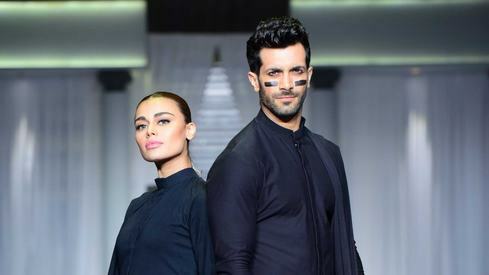 Uzair Zaheer Khan: We did auditions. For the role of Mehru we picked Natasha who sent this amazing audition video. 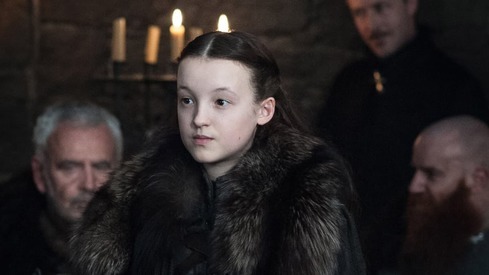 It was really good because most auditions I got were just ‘readings’ — people reading it without using their brains and understanding what’s happening in the scene. Was it easy for the voices to switch into acting-with-imagination mode as they recorded their voiceovers? Uzair Zaheer Khan: I think it wasn’t bad at all. I think they enjoyed themselves. Obviously, for some people it was much harder than others. I did have to direct them and show them how to do it, because there are two types of people: those that do their homework and actually read the script and those who just want to ‘wing’ it. What references did you use for the locations in the film? Uzair Zaheer Khan: The Northern Areas. The architecture in our film, of one of the cities that you can see in the trailer, was based on one of the very unique houses in Hunza. I’m pretty sure there is no town with architecture overall like that. Also, if you look at Mehru, people come on Facebook and say, ‘This is not a markhor’. We have to explain to them that it’s a young female adolescent and they don’t have giant horns and a big daarrhi [beard]. You do take some creative licence when it comes to design. For example, Allahyar doesn’t come across as an actual kid. Uzair Zaheer Khan: Allahyar is a boy. He is a very strong role model. 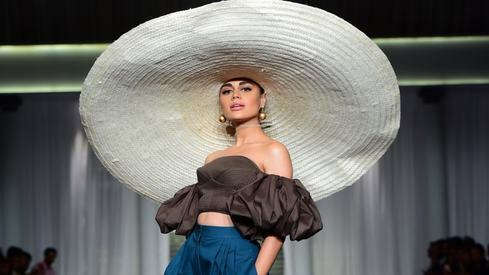 But we’ve made Mehru even stronger. 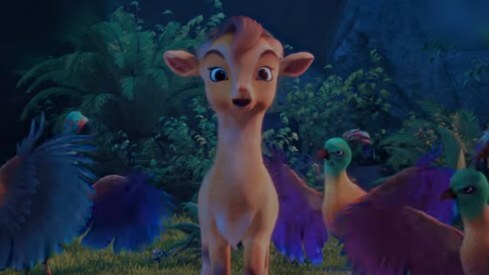 One of the agendas I had was that after a certain time into the film, people should forget that she is a markhor and see her as a girl. One of my favourite animated characters is Kitara [from the Avatar series]. She’s very strong and bossy. I’m hoping girls can relate to Mehru and boys to Allahyar as role models. A very important part of any animated feature is the music. How did you go about working on that? Uzair Zaheer Khan: I got lucky. I met Ali Noor. He’s one of my favourite vocalists. I told him I was making an animated film and wanted him to do a song for it. He said, ‘Yeah, I’ll do it, but are you going to give me a role?’ I said ‘Yeah.’ I mean, who wouldn’t give Ali Noor a role, right? I think he’s outdone himself. I love the songs — all the songs of this film. It’s not just me. They’re playing all the time in our studio and people are enjoying them. There are two that Ali has done and Natasha has done the other two. 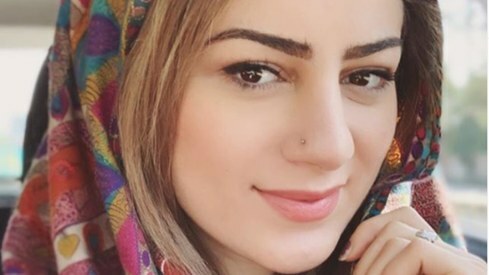 One of the songs, a cover of Zoheb Hassan’s 'Muskurai Ja' by Natasha Humaira Ejaz, was released recently. It’s groovy and shows off Natasha’s vocal range. Did you have any concerns picking a popular vintage number for a modern animated film? Uzair Zaheer Khan: It’s very tricky when you’re doing an iconic old song because you can easily mess it up. But when I heard the song, I loved it. I was sitting in the animation department with 15 animators. I asked them to listen to the song, they said it was nice. I told them this was Zoheb Hassan’s song. And nobody knew who Zoheb Hassan is. Then one guy says: ‘Isn’t that Nazia Hassan’s brother?’ [laughs] I realised that this is crazy, right? That’s what’s happening in the world right now … who we thought were icons, these newer younger people don’t know about them. I am happy about that too [reintroducing them to this music] and the song sits well in the film. Ahmed Ali is one name you need to remember — the music composer — he composed this song with Natasha. Natasha’s other song which we haven’t revealed yet, that one is probably my favourite out of all the songs. I’m really happy with the songs. They’re not the kind of songs jaisay Parchi ka hit gana [like Parchi’s hit song]. I didn’t go for the ‘formula’ stuff. Now that this film is finally hitting the big screen, what’s next? Do you intend to take a break? Uzair Zaheer Khan: I don’t intend to stop. This is the first film. We made a lot of mistakes and we learned so much. What’s the point of doing that if you can’t apply it and go higher? Sometimes I do feel like saying ‘I’m done’ because I’ve been through hell, but this is too good to give up. We do have another film in the works. 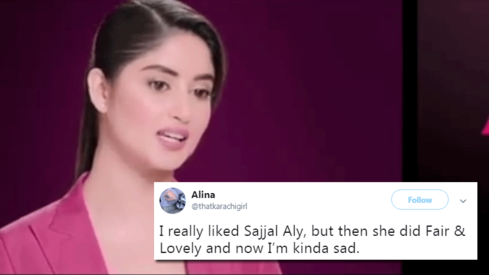 Is there going to be a sequel to Allahyar? Uzair Zaheer Khan: My initial reaction was that if I have to do a sequel I’ll commit suicide [laughs]. And then I thought about it. I went to my head of production, Usman Iqbal, and said ‘Mani, what do you think, should we do a sequel?’ He said, ‘Yes. And I quit!’ So, I sat down and wrote a totally different script that will excite the people working on it. More than that, I’m sure it’ll excite the people who will be watching it. Every one still remember Nazia and Zoheb so there is no point to re introducing them. Young generation also familiar with songs like Disco Deewane, Boom Boom and Aap Jaisa Koi. Muskuraye Ja was sung for bollywood movie star. Picking up song of legend without giving credit will destroy director's reputation. So that was not a good one and answer was regarding cover song of Zoheb was stupid. 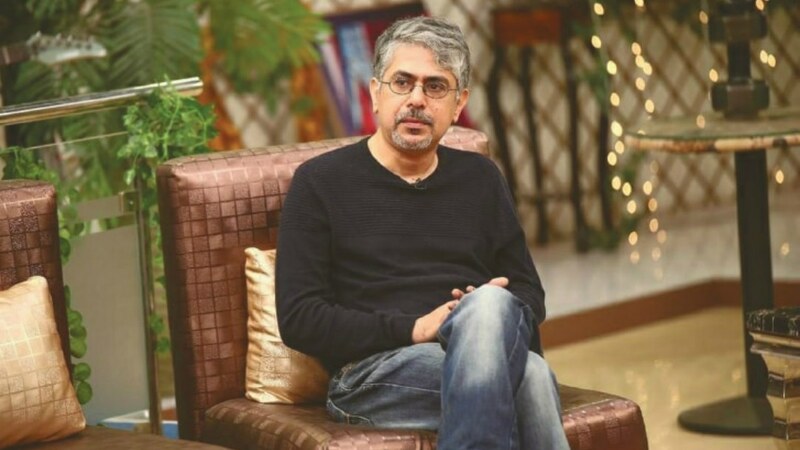 Mr zaheer you started a new era of animated movies/seriess in pakistan, and this is really a slap on outer world who spend millions dollar on making animated movies. and u done it in minimum budget. salute to mr zaheer khan.